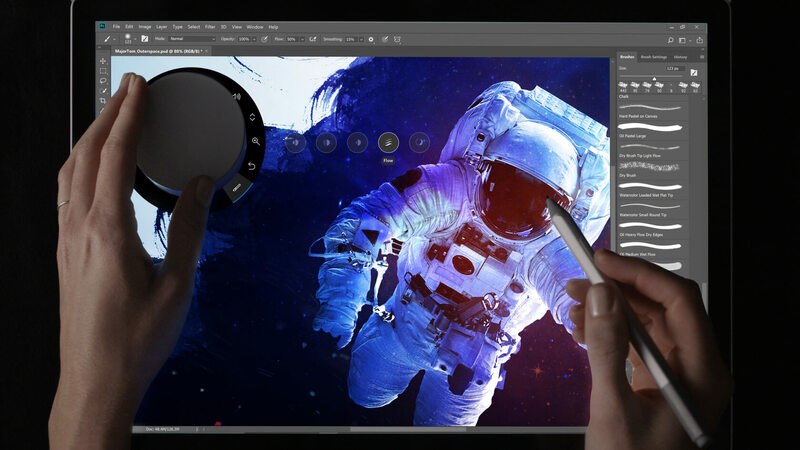 The latest update for Adobe’s Photoshop CC is out today and delivers a couple of exciting upgrades including support for high-density monitors (UI scaling) and an improved Select Subject tool. We have all experienced it. You buy a brand new higher resolution monitor, hook it up and fire up your favorite game or application only to find a tiny UI. This issue has been going on since the days of the CRT but is even more pronounced these days with our massive 4K displays. While 8K monitors are still a bit expensive for mass adoption, it is never too early for software makers to update their UI to support higher resolutions. Adobe is doing just that with Photoshop 19.1. Users will now be able to scale the UI to their liking. The interface can be adjusted all the way up to 400 percent in 25 percent increments. For those fortunate enough to be using 8K displays, 400 percent scaling should have you covered. It is a welcome feature even for those of us on 4K monitors. For users who don’t want to mess around with scaling, Adobe has integrated it so that it will auto-adjust based on your display settings. It will also scale automatically on multi-monitor setups. So no matter what your monitor size or the number of screens, the UI will fit nicely with no squinting. If you have ever tried to isolate someone in a picture, you know how much of a pain it can be to highlight only them. The new Select Subject tool is powered by Adobe Sensei, a machine learning AI. All it takes is one click to select your subject. It's not perfect but you can refine the edges using other selection tools. The machine learning can also recognize multiple foreground objects. It is definitely a much quicker and easier way to isolate your subject matter. Other improvements include better SVG compatibility, enhancements to select and mask tools, better support for Microsoft Dial and various bug fixes. You can read the full patch notes at Creative Connection. Photoshop 19.1 is available on Windows and Mac as of today. If you already have Photoshop, just check for updates. Otherwise, you can download it from Adobe to get started.